An interesting media release from Luke Donnellans office this week - is the new Safer Cyclists and Pedestrians Fund the return of the long lost Victorian Bicycle Budget in another form? Please note there's no community consultation session for Yarra - so we all better go to the Melbourne one! The Andrews Labor Government is updating Victoria’s cycling strategy so that it best provides for the future, and wants to hear from cyclists and road users. Minister for Roads and Road Safety Luke Donnellan today opened the Bike Futures Conference and announced the beginning of community consultation from October to December this year. The Government is making an unprecedented investment – through the $100 million for the Safer Cyclists and Pedestrians Fund – in infrastructure that keeps cyclists and pedestrians safe on our roads. The cycling strategy will help to guide the establishment of Active Transport Victoria which will be responsible for delivering the strategy’s objectives. It will also incorporate the Government’s commitment to improving safety and increasing participation, and will guide future cycling investment. 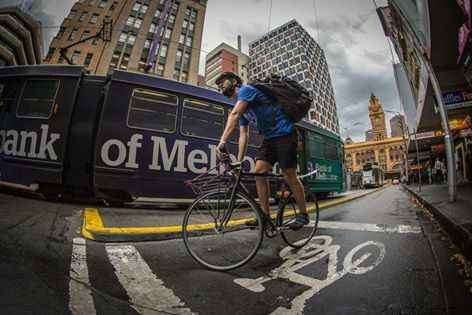 Make a formal submission by email at cycling.strategy@ecodev.vic.gov.au or participating in community consultation sessions at key metropolitan and regional locations. Feedback from the consultation will be incorporated into a draft updated strategy, which will be made available for comment before being finalised for release in mid-2016.